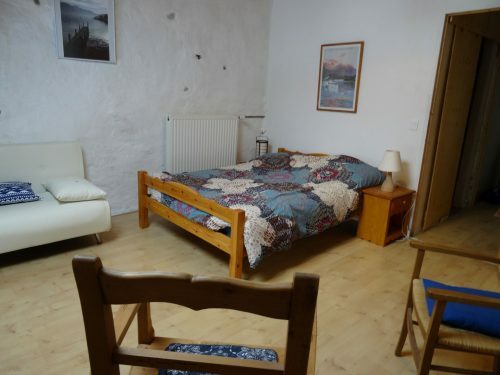 Upstairs : bright rooms, south facing. 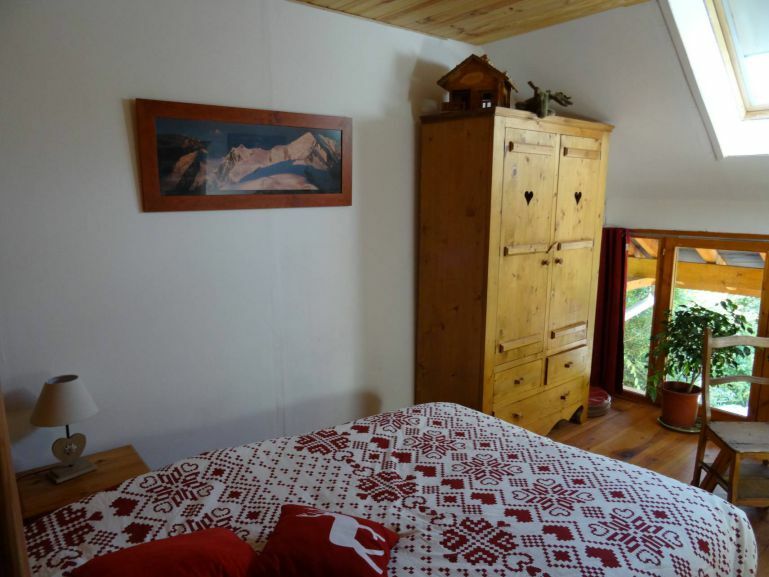 Two large bedrooms in a Savoyard atmosphere. Shower room, private toilets for each bedroom. To the confort and security of everyone, it isn’t allowed to smoke inside the house. We put at your disposal a wifi access. We made the choice to not furnish our bedrooms with a TV-set. petit déjeuner served between 8 and 10 a.m. ground-floor in a vast dining room or outside on the terrace. 2 nights or more : Discount: 20%. Suits perfectly a one-child or two-children family. 20 € to add for any additional person.